​The Oneida Area Civic Chorale will present its “50th Anniversary Spring Concert” on Sunday, June 4, 2017, at 4:00 PM at the First Presbyterian Church of Rome, 108 West Court Street, Rome. The concert by the 105-voice non-auditioned community chorus will be the final event in a special 50th Anniversary Season weekend featuring world renowned composer, pianist and conductor Mark Hayes. The concert will be under the direction of Kimberly Nethaway of Rome, with piano accompaniment by Bernadette VanValkenburg of Sherrill, and Colleen Pellman and Samuel Pellman of Clinton. In addition to performing in the concert, Hayes will conduct a 55-voice ecumenical community choir during the Sunday 10:00 AM worship service at the church. Pastor Sam Pendergrast of the First Presbyterian Church of Rome will conduct the service, which will be open to the public. The Chorale is very happy to welcome Mr. Mark Hayes to Rome and give the Central New York community an opportunity to experience his musical expertise. 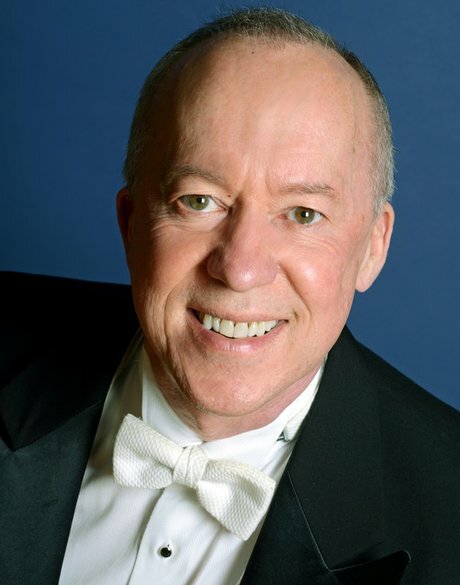 Mark Hayes, of Kansas City, Missouri, is an award-winning concert pianist, composer, arranger and conductor who is well known to anyone who has sung choral music. His personal catalog, totaling over 1,000 published works, includes work for solo voice, solo piano, multiple pianos, orchestra, jazz combo, small instrumental ensembles, and choruses of all kinds. Hayes received a Bachelor of Music degree in Piano Performance from Baylor University in 1975. In 2010, Baylor University Center for Christian Music Studies awarded him the Award for Exemplary Leadership in Christian Music. He arranged and orchestrated the music for Civil War Voices, which won six awards including “Best Musical” in the 2010 Midtown International Theatre Festival in New York. He conducted the world premiere of his work for chorus, orchestra and narrator, The American Spirit, at Lincoln Center in May 2011 and the world premiere of his Requiem in Lincoln Center in May 2013. Hayes is also an accomplished orchestrator and record producer. In 2010 he released his first CD of original songs titled “All Is Well”. At the 10:00 AM Sunday worship service, Hayes will conduct the choir on four numbers, including "Spirit, Come Down" and "Namaste", words and music by Mark Hayes, "And the Father Will Dance", music and arrangement by Mark Hayes, and "On Eagle's Wings", words and music by Michael Joncas, arrangement by Mark Hayes. The program for the 50th Anniversary Spring Concert will include a variety of numbers that have been performed by the Chorale at some point in its 50 year history. Hayes will conduct six of his pieces, including his arrangement of Gershwin’s “I Got Rhythm”, a rock version of the traditional “This Little Light of Mine”, his arrangement of “Hark, I Hear the Harps Eternal”, a traditional American hymn featuring a four-hand piano accompaniment played by Colleen and Samuel Pellman, and an original sacred piece, “Cantate Domino”. He will also conduct his arrangement of “The Erie Canal”, a swing version of the American folk song, and “Music Makes Me Feel Alive”, an energetic original composition. Hayes will also accompany the Chorale on his arrangement of traditional spirituals, “Swingin’ With the Saints”, and perform piano solos of two original compositions. The concert will begin with “Sing We and Chant It”, performed by The Madrigal Ensemble of the Chorale. Other pieces in the concert will include two Chorale-commissioned works, “Give Me Music”, by Amy F. Bernon, which was written in 2012, and “How Can I Keep from Singing” composed by Samuel Pellman in 2015. The latter includes a four-hand piano accompaniment which will be played by the Pellmans. The group will also perform Handel’s “Hallelujah, Amen”, which will be conducted by special guest Daryl Wonderly. Wonderly is the founding director of the OACC, and conducted the group on this number at its first spring concert in 1968. He retired from his position as Chorale Director in 1995, having previously retired from his post as vocal music instructor at the Oneida High School. Wonderly now lives in Tucson, AZ. Tickets for the concert are $10, available from Chorale members, at W.J. Hinman Jewelers, Oneida, by calling Beth at 315-655-3007, and the Rome Presbyterian Church office at 315-336-1380. The church is handicapped-accessible. For more information, call 315-761-9701 and visit www.oneidachorale.org.